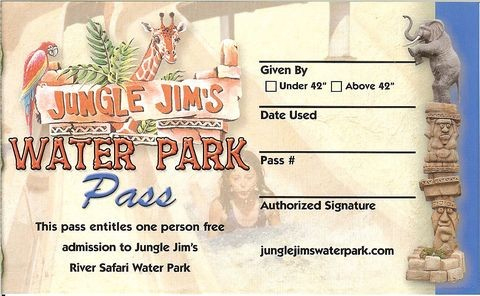 Jungle Jim's under 42" season passes are great for children and Sr. Citizens that are not interested in the large slides. They make great gifts. Each season pass holder receives a personal ID card that they can use to check in at the min-golf hut. Bring reciept to exchange for picture and have season pass card created. Non-transferable.